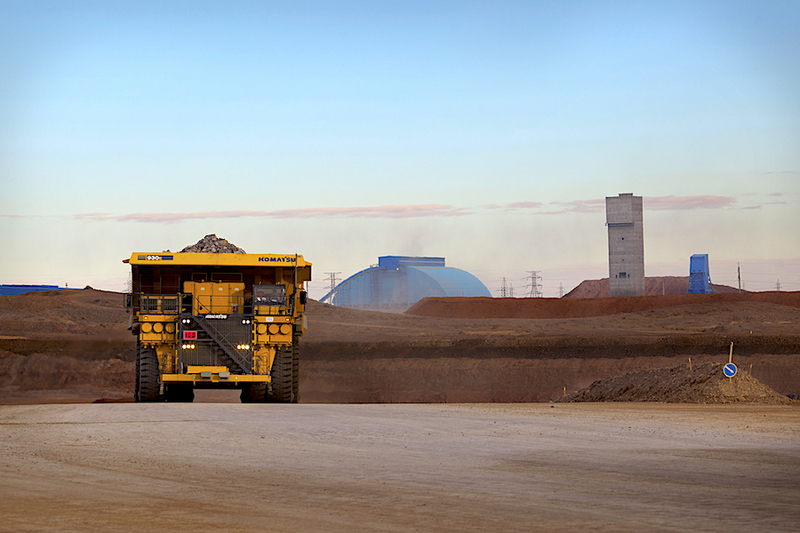 Rio Tinto-controlled Turquoise Hill (TSX, NYSE:TRQ) has declared force majeure at its massive Oyu Tolgoi copper and gold mine in Mongolia, following protests by Chinese coal haulers that have interrupted shipments near the border. In a note released Wednesday night, the Vancouver-based miner said that earlier this month protestors used a large number of vehicles to block the main access road within China to the border with Mongolia. “While the obstruction remains in place, Oyu Tolgoi convoys are unable to cross through the Chinese-Mongolian border to deliver concentrates to customers,” Oyu Tolgoi’s majority owner Turquoise Hill said in the statement. Measure is not expected to have any impact on production, said Oyu Tolgoi’s majority owner Turquoise Hill. “Safe and normal mine operations, including underground development, have been maintained and no production impact is expected,” it added. This is not the first issue to hit Oyu Tolgoi this week. On Monday, Turquoise revealed the Mongolian government had served the mine with a new bill for $155 million in back taxes. The company said the amount relates to an audit on taxes imposed and paid by the mine operator between 2013 and 2015. It added it's disputing the assessment. However, Mongolian politicians are once again complaining about the mine as they argue the country has seen too little benefit from such substantial expenditure. The high costs of financing the mine mean the government will not see its share of profits for years, though it is currently collecting tax revenues.